Swiss chemical giant Clariant sold its 87 acre land parcel at Kolshet in Thane to Lodha Group for Rs 1,154 crore. The plot has a development potential of nearly 6 million square feet. Before that, Oberoi Realty and Tata Housing went shopping for Mumbai land. Sanjay Dutt, Executive MD, Cushman & Wakefield (South Asia) believes real estate prices have bottomed out in Mumbai. He says Lodha's recent big land deal signals a lot of on ground activities. On Wednesday, Swiss chemical giant Clariant sold its 87 acre land parcel at Kolshet in Thane to Lodha Group for Rs 1,154 crore. The plot has a development potential of nearly 6 million square feet. Before that, Oberoi Realty and Tata Housing went shopping for Mumbai land. “Between January to now, we have seen about Rs 3,000 crore worth of land sold in Mumbai," Dutt told CNBC-TV18's Sonia Shenoy and Latha Venkatesh. 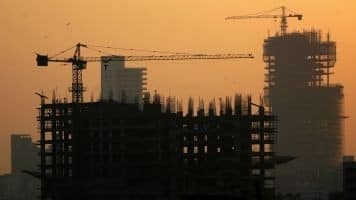 According Niranjan Hiranandani, Managing Director, Hiranandani Group, there has been resurgence in demand and a lot of builders are looking for land parcels in the last 10-15 days. A part of the demand revival can also be attributed to expectations of a stable government at the Centre. “We have about a 100 buyers on waiting who are just saying that ‘let the election process get completed and (then) we are buying'. Now these are 100 people who have deposited cheques, kind of a token deposit to basically block a flat etc, but there are also others in line," Hiranandani told the channel. Latha: What did you make of that big deal that got done between Clariant and Lodha? Is it giving you a sense that real estate prices have bottomed out in the city? Dutt: I certainly feel that the real estate prices have bottomed out and they have been there for a while for last few months. But, at the same time, Lodha buying another very large land parcel demonstrates that there is still lot of activity. There is still medium to long-term focus of developers and there is still enough traction in the market. So, between January to now, we are seeing Rs 3000 crore worth of land sold in Mumbai. That’s quite a bit of an upside, maybe not in the short-term, but if you look at the medium to long-term, definitely, yes. Sonia: Which pockets in Mumbai do you think has the highest growth potential now in terms of rate appreciation? Dutt: It’s the Sewri and Wadala belt, the Goregaon (East) belt, the pockets between Kalamboli and Panvel and if you go corridor by corridor, we have seen enough upside between Vasai-Virar belt and now it seems to be between Kalyan and Dombivli on the central corridor beyond Thane city and the city like Bhiwandi where there is lot of traction and appreciation. If you go further east, it’s the Kalamboli and Panvel. But, when you talk about within the Municipal limits of Mumbai, is exactly the pockets which I mentioned—Sewri, Wadala, Goregaon (East) and certain pockets of Chembur. I would also say Bhandup, Kanjur Marg, when you compare LBS Marg versus Western Express Highway, there is a big delta in terms of valuation. Again, that pocket seems very attractive. So, despite of the sentiment right now, you would see these pockets will appreciate the most in my opinion.